Bake @375 degrees f skin side up, on a flat sheet pan for about 45 minutes. Cool just a bit Use a fork to shred “spaghetti” out of the skin. Use paper towels to soak up moisture just a bit. 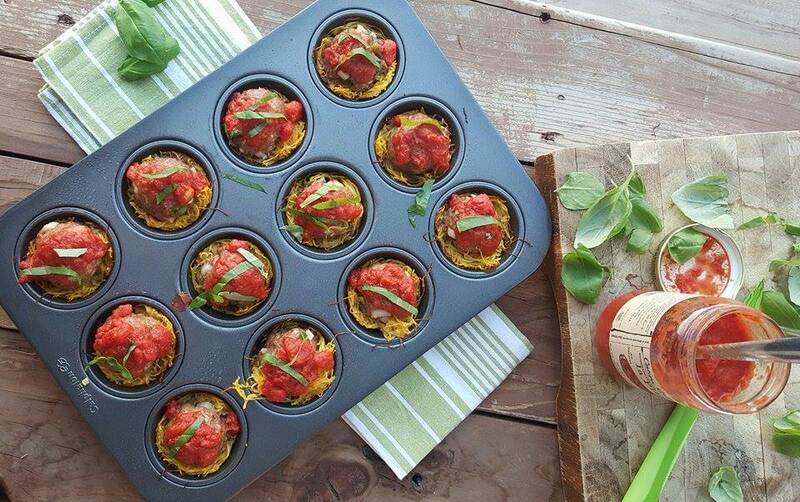 Spray a 12 muffin tin with oil. 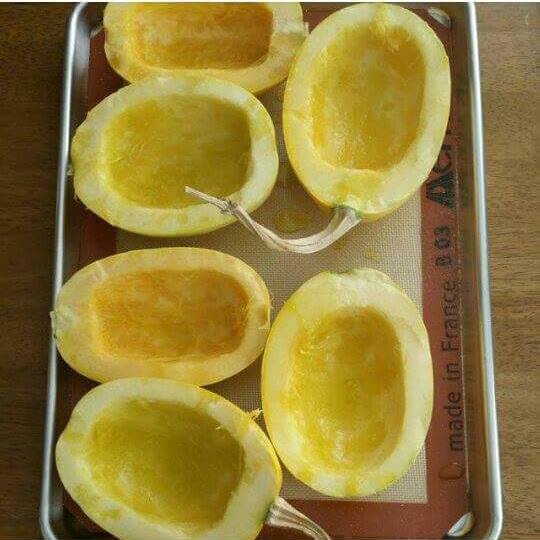 Place the cooked spaghetti squash in a bowl, along with the egg white, parsley, garlic powder, salt, pepper, and cheese and combine well. Scoop 1/4 cup into each tin, pressing up the side to create a nest. Bake 18 to 20 minutes, until the edges become golden and crisp. Combine all ingredients very well (except oil) in a large bowl and mix well. 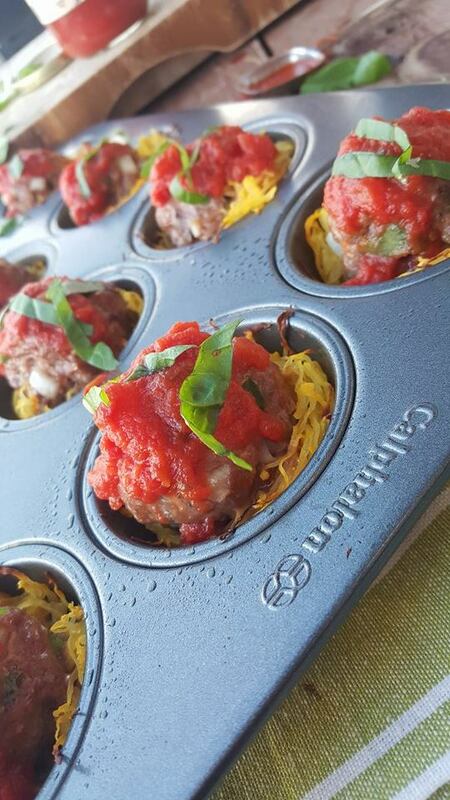 Form 12 even meatballs and fry them in a large saute pan. 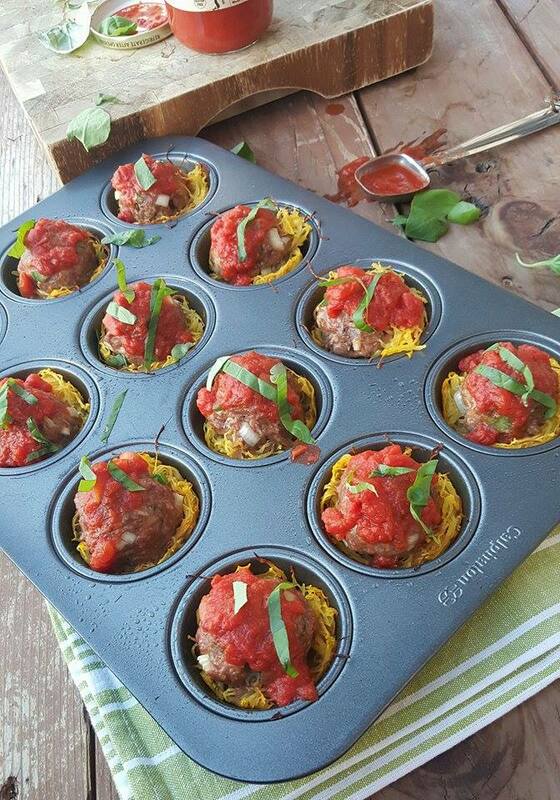 Do not crowd the meatballs or they won’t crisp – Cook for about 3 – 4 minutes, turn over and cook for an additional 3 minutes until cooked through. Remove from pan and place on paper towel-lined plate to absorb oil. 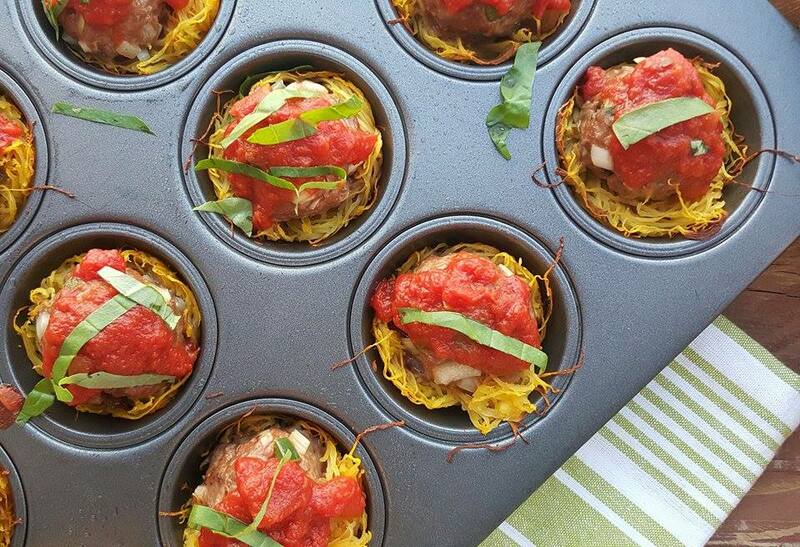 Serve with heated, no-sugar added marinara sauce over spaghetti squash cups. Cool just a bit Use a fork to shred "spaghetti" out of the skin. 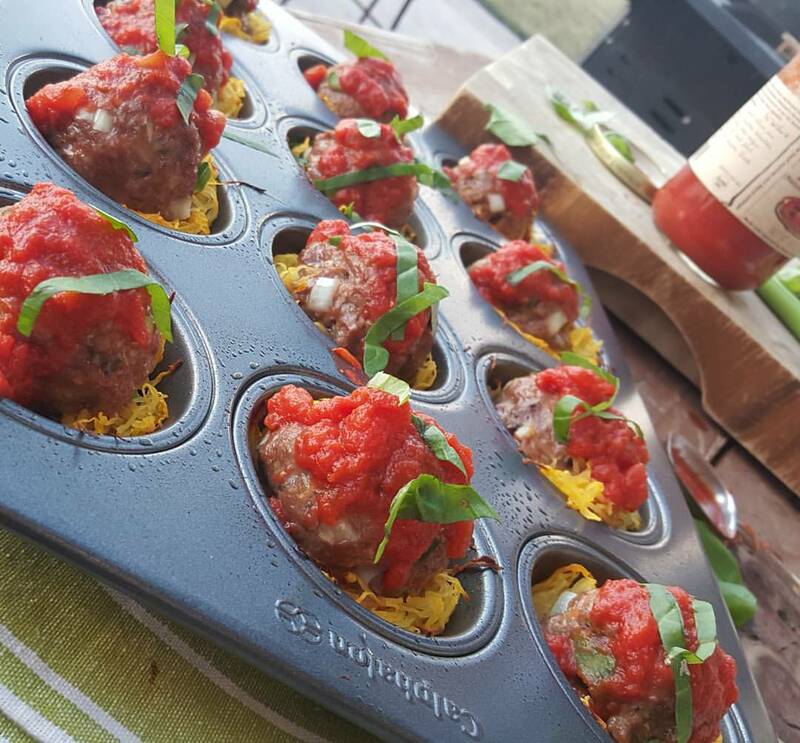 Do not crowd the meatballs or they won't crisp - Cook for about 3 - 4 minutes, turn over and cook for an additional 3 minutes until cooked through.